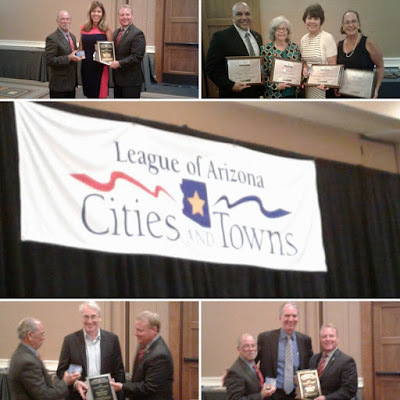 The League of Arizona Cities and Towns, an organization that advocates for local self-government and independence on behalf of the state’s cities and towns, recently honored 12 House Democrats for their dedication to and support of cities and towns during the 2016 legislative session. Cooperation between the state and cities and towns is critical in keeping our communities safe and strong. Democrats recognize the important role that independent local governments play, and that is why we defend local control. But local independence is increasingly threatened in Arizona—ironically by many of the same Republican legislators who so often complain about federal overreach. This year alone, Republicans passed legislation targeting cities that have tried to ban plastic bags and puppy mills. They also passed legislation that lets individual legislators threaten huge amounts of funding for cities that pass ordinances they don’t like. And we’ve already seen legislators use that power against Snowflake and Bisbee. Trampling on local control should not be a legislative priority. Restoring the $1.2 billion each year our schools are still losing out on, even after Prop 123 funding, should be. Taking firm steps to increase accountability and transparency at the Department of Child Safety, which recently cut services in order to save money despite the 19,000 children it is still responsible for, should be. These are matters of state concern. Plastic bags in Bisbee are not. House Democrats prioritize the serious problems facing our state. We know Arizonans want their local governments to do the jobs they were elected to do—why else elect local governments? So House Democrats will always support local control. These awards remind that we are partners in serving our communities and that Arizonans are best served when every level of government works together. 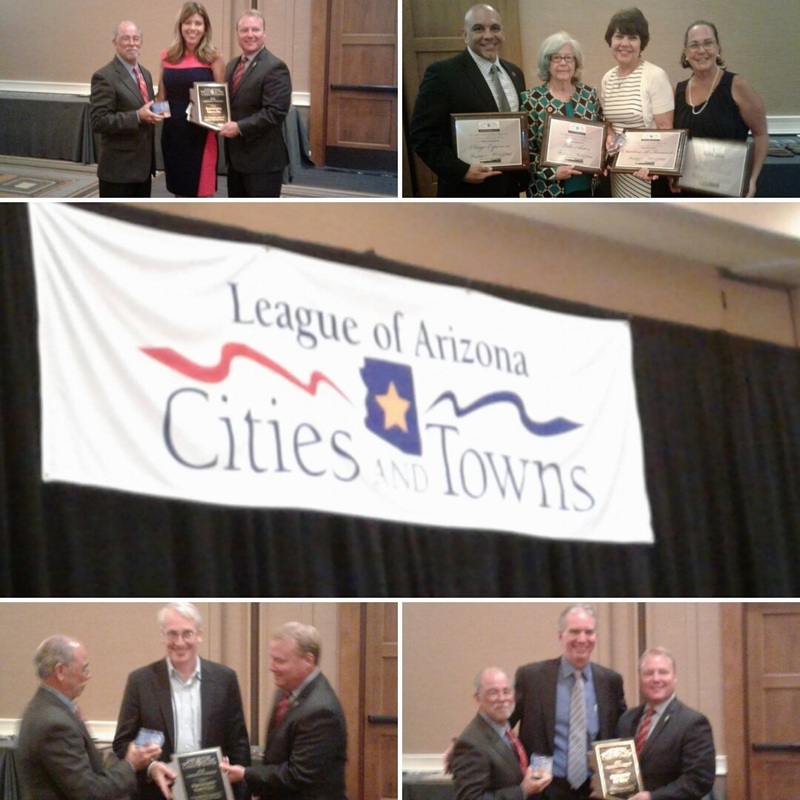 The League presented these awards on Aug. 25 during its 2016 Annual Conference, held in Scottsdale. The awards are listed below.